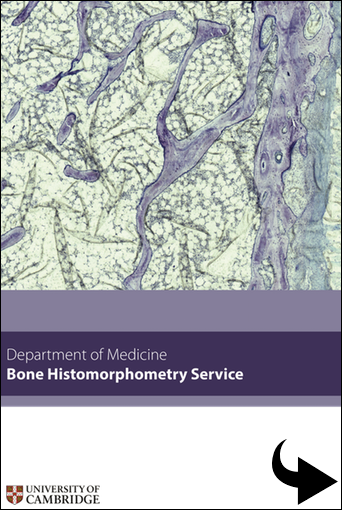 Our HTA licenced laboratory offers a full in-house histomorphometry service for the investigation of bone diseases, under the direction of Dr Linda Skingle. We specialise in hard tissue histomorphometry, embedding samples in LR white resin, applying various stains and then using Surveyor & Bioquant software for quantification purposes. Our long standing collaboration with local experts Objective Imaging has recently lead to our installation of an Oasis glide scanning stage to our Nikon Eclipse E800 microscope.